Cameos can happen for all kinds of reasons. Maybe it’s someone who’s been very important behind the scenes, or in the show’s history, and they wanted to get on screen again (or for the first time, in the former’s case). Just take a look at Stan Lee’s many, many cameos over the years. Or maybe it’s just that all shows have their fans, and sometimes those fans are famous people who can pull the strings to appear on screen. Or perhaps it’s just a notable personality–not necessarily a celebrity in the usual sense, but a politician, or a scientist, or a high ranking military officer in a military-themed project. Here are 4 cameos that hit all those marks, and have a little more to them to boot. It’s a little hard to see due to the lighting, but it’s definitely him. JMS was the writer of Babylon 5, as I’m sure you’re aware by now. But he’s also not one to play into cameos or references or self-indulgent moments, as evidenced by his hatred of merchandising. Still, he couldn’t help himself when it came down to B5‘s last episode (so, you know, spoilers for the finale). For the sake of symbolism, he decided to appear on screen–as the man who shuts off the lights on the station for the very last time. It’s a poignant moment, given just how much of his life had been dedicated to getting this show off the ground and guiding it through the demands of television production almost singlehandedly. For fans who’d spoken to him through his frequent contributions on Usenet, I imagine it was doubly so. I mean, who doesn’t love to see real scientists tackle sci-fi problems? 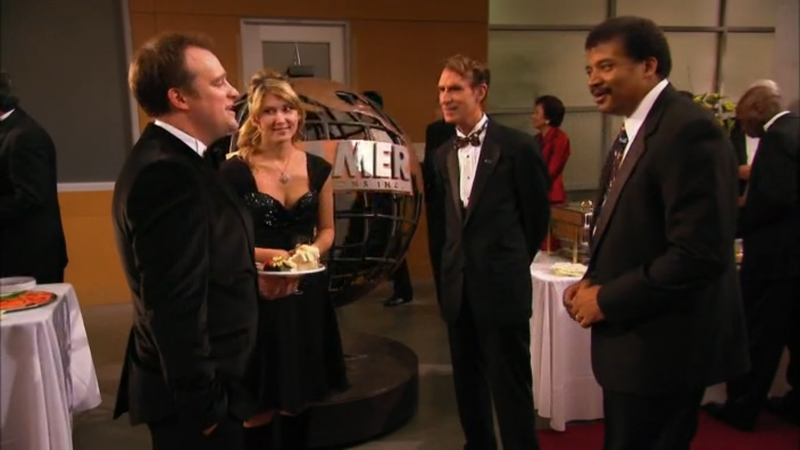 This (“Brain Storm“) is just a really fun episode all around, and it’s all thanks to the appearances by these two prominent scientists. The idea that these brilliant scientists who are part of the Stargate program must toil in obscurity, or worse, serve as the laughing stock of the scientific community, has been there since Daniel Jackson’s first appearance on screen in the movie. But this episode is the first time where we see real scientists on the show, and juxtaposing their disdain for Rodney with his immense pride and arrogance makes for a wonderful character dynamic. You can tell he’d love nothing better than to just shout the Stargate program from the rooftops, but he holds back for the greater good. Even more exciting for fans of the two celebrity scientists is that they quickly set all this aside when things start to go awry, and both Tyson and Nye are critical to the resolution of the plot. Even if you don’t usually like Stargate, this episode is worth a watch for their roles alone. How could a man whose name is practically synonymous with the Doctor be a cameo on his own show? Well, it all comes down to the 50th anniversary. Anniversaries can be tricky, as they can easily become self-indulgent and weighed down by all that nostalgia. Sometimes that works out great, like Deep Space 9‘s triumphant return to the time of Tribbles, but that’s not always the case. To avoid that fate, it had been made known that no classic series Doctors would appear in the 50th special. This upset some fans, as they felt it should be about celebrating all the actors to have left their mark on the show. Other projects were in the works, such as the Five-ish Doctors Reboot and An Adventure in Space and Time, which helped somewhat. The secret of this was kept almost until the moment it aired. I’ll admit I’m not as versed on Classic Who as I could be, and yet even I squealed with glee the moment Tom Baker stepped onto the screen. It was technically true, what Moffat had said, and Moffat is nothing if not a master of the technical truth. 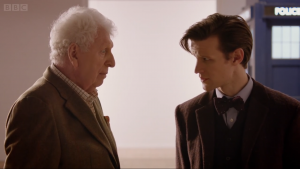 Tom Baker’s appearance in the 50th is referred to only as “the Curator,” and it’s heavily implied that he is a far-off future incarnation of the Doctor, having retired to the 20th/21st century Earth that he loved so much. He imparts some extremely important information to Matt Smith’s Doctor and disappears, having completely stolen the scene (and every fan’s heart), just like back in the day. He also joked that on a later visit, he asked Brent Spiner about his winnings. 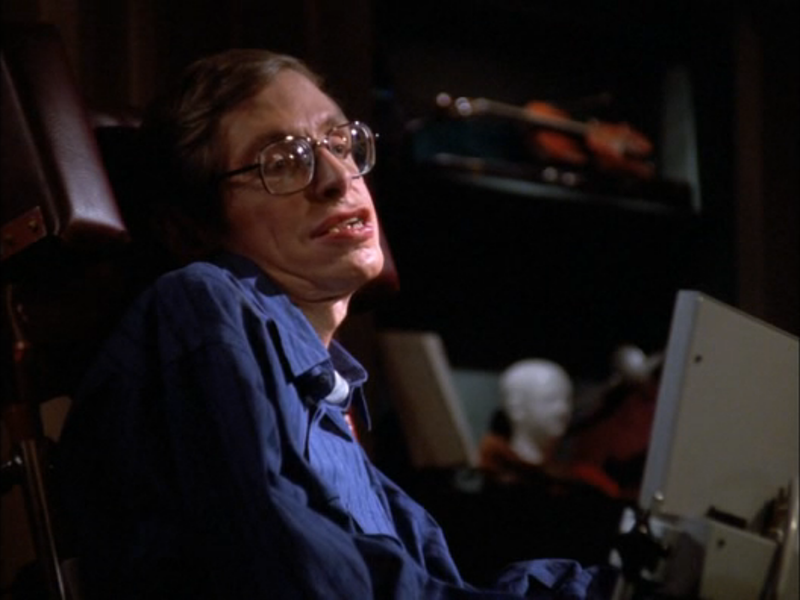 In all the long history of Star Trek, there’s only one man to have played himself on screen: esteemed physicist Stephen Hawking. The story goes that Hawking was touring the set one day, and they arranged his cameo almost on a whim a few days later. 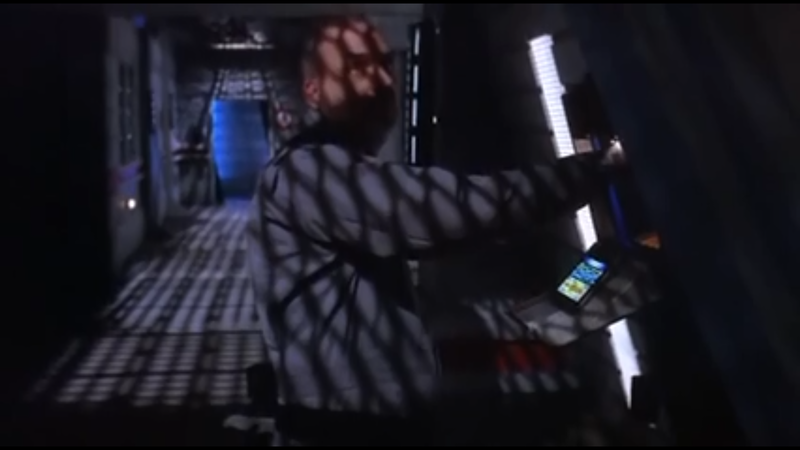 The scene, in the episode “Descent,” has Data call three of history’s greatest physicists–Isaac Newton, Albert Einstein, and Stephen Hawking– on the holodeck to play poker and observe their interactions. Hawking gets the upper hand on all three and wins the game with four of a kind. The fun story that usually accompanies mentions of this cameo is that while Hawking was touring, they pulled up to the warp core on the engineering set. After staring at it for a moment, Hawking declared, “I’m working on that.” I wonder if he’s made any progress since then?